Magritte. 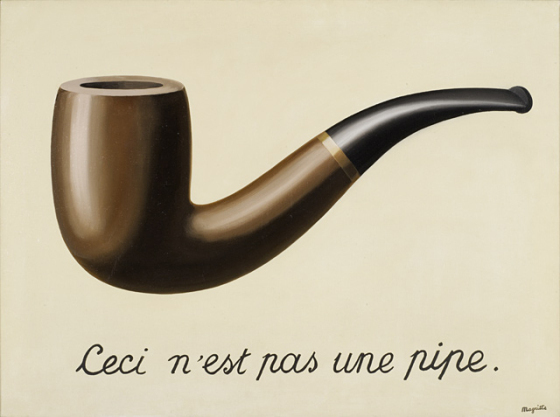 The Treachery of Images (Ceci n'est pas une pipe or This is Not a Pipe) (1929) Source. The moment that I saw Charleston Girl's swatch and review of this beauty, I knew that I had to have it. I also had the feeling that it was going to look a bit different on me than it does on her- so rather than ordering it online while I was out of town, and nowhere near my local Guerlain counter, I decided to wait and swatch it first. 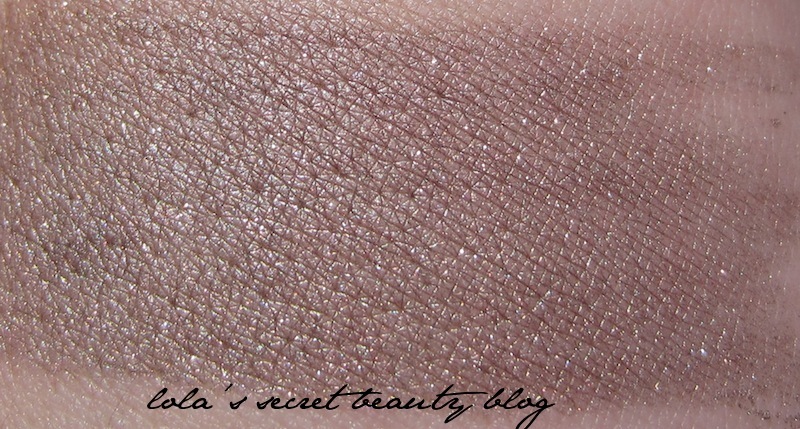 It was so stunning that I purchased it immediately after swatching it. The secret for beautiful eyes this Summer? 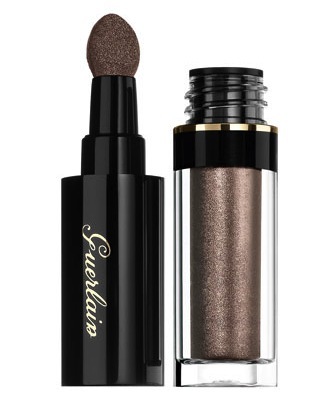 Guerlain loose iridescent eye shadow in Bronze Ora or Cuirve gives an immediate metallic result with only one light application. No. 02 Bronze Ora, while described as a bronzed brown, is actually what I would describe as a stunning taupe. 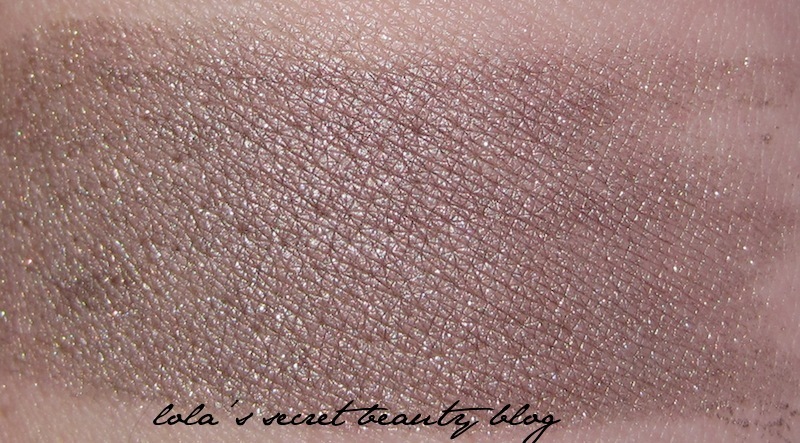 As I was contemplating this pretty eyeshadow, I kept thinking back to Pink Sith's brilliant post entitled "The Trouble with Taupes" where she demonstrates the extent to which taupes morph into very different hues depending on the skin tone of the wearer. 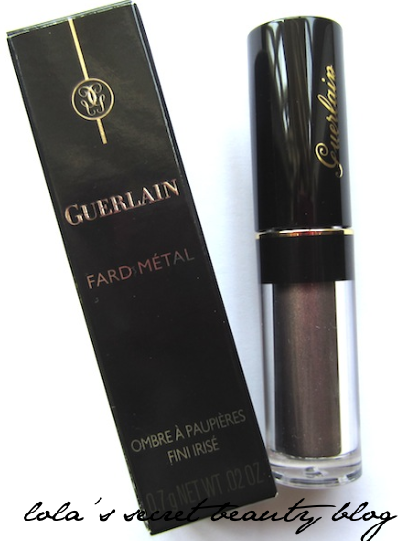 The truth of this became all the more evident when I swatched this Guerlain beauty- only to discover that it wasn't quite the color that I had envisioned once applied to my skin. In fact, it got me thinking about the bigger construct of representation generally. It immediately brought to mind Magritte's commentary made manifest in his Treachery of Images (Ceci n'est pas une pipe or This is not a pipe)- which caused me to think in terms of "This is not a Swatch." The point is, this is no more an actual swatch on my arm than Magritte's painting is an actual pipe. The pipe is a two-dimensional representation of a pipe from which tobacco cannot be smoked, and the swatch is likewise a two-dimensional representation of the original swatch applied to my arm. Furthermore, this isn't even Magritte's painting, but instead a JPEG from a photo of the painting itself (and likely many times removed)- that was then uploaded to my website and then projected on your computer monitor. Add to this Pink Sith's observation that taupe tends to be prone to metamorphoses, and what you are likely to end up with is a different shade. Therefore, swatches seen online generally function as a road map, but should not be taken as the final word on what this shade will look like on you. Differences in the monitors also influence how you see what you are viewing- therefore whenever possible try to see the actual product in person. That said, this is a gorgeous finely milled exquisite quality loose eyeshadow. I like the packaging because it promotes easy application, and the built-in sponge tip applicator is quite convenient. I either apply it directly to my lid, or to my hand- from which I either use my finger or a brush. I urge you to remove the wand slowly in order to avoid the extraction of too much product at a time. This is not a matter of flawed packaging, but a preemptive move to avoid wasted product because of an overzealous hand. This lovely shadow has a gorgeous sheen that will make taupe-fanatics swoon. To further contextualize this shade I included a few other taupes from my collection below. Left to right: Burberry Rosewood, Rouge Bunny Rouge Solstice Halcyon, Chantecaille Sel, NARS 413 BLKR, and NARS Lhasa. In the midst of my ponderings, it occurred to me that Guerlain No. 02 Bronze Ora (bottom swatch) bore a striking resemblance to Rouge Bunny Rouge Loose Glitter Pigment Fire Drops in Caress of Mink (top swatch, reviewed here), and it was definitely the case. I will feature this comparison in a dedicated upcoming post. Overall assessment: A true thing of beauty. I highly recommend this beautiful taupe, but be advised that it may look a bit different on you! $35.00 for .02 oz. from Neiman Marcus and where Guerlain is sold. Stock photo from Neiman Marcus. I absolutely love this commentary. Aside from being entertaining, it's extremely accurate- shades like taupe that contain elements of a number of different "base" colours are extremely prone to shifting and "customizing" themselves for the wearer. Since "ora" can only mean "reimbursable bonds" in French, Guerlain must have meant L'Or Bronze, which would mean a goldish-colored brown or olive-brown. Fard Metal simply means metallic blush, so if you think you see pink in this "metallic" eyeshadow, you're probably right. Taupe is a brownish gray, and there is certainly a suggestion of taupe here. When it comes to cosmetics, it's surely challenging to find a "taupe fanatic" because taupe does little to brighten the face. The word taupe sounds French, but taupe in French means mole, a brownish-gray animal. In English, this iridescent shadow could be called Better Than Taupe. It really is. A sales associate in one department store told me that they had only gotten four in and sold out a long time ago. She claimed that she was wearing it, so she must have bought one of the four. She also claimed that it was violet though it looked gray to me above her crease. Here's my advice for the perplexed: If you're wearing browns and olives, and using olive shadow, apply the Guerlain product to the center of each lid, and blend. Catch the spark! I don't know why Guerlain called it Bronze Ora No. 02, but I even double checked the box, and that is indeed what they call it! Interesting that the SA called it violet!! I definitely don't see that! It is quite beautiful though!